This is from the year 2000 when I was a student at the School of the Art Institute of Chicago. The second stipple I ever did in pen and ink. Beetle, ink stipple on vellum, 11×17. 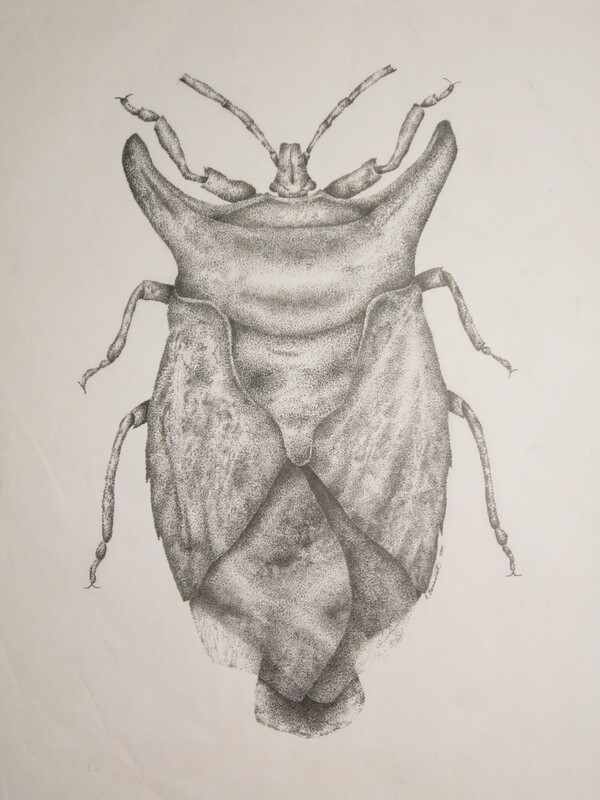 Beetle, ink stipple on vellum, 11×17. Copyright Rebe Banasiak, The Brush Hilt and Banasiak Art Gallery.